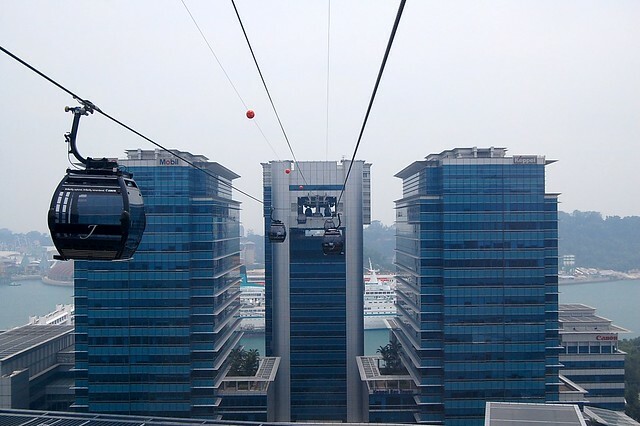 The Singapore Cable car was built as a tourist link to Sentosa Island. It was the first cable system to construct a mid-station within an existing high-rise building. Originally constructed in 1974 as a BDG system, in 2010 it was rebuilt and upgraded to a modern MDG line.